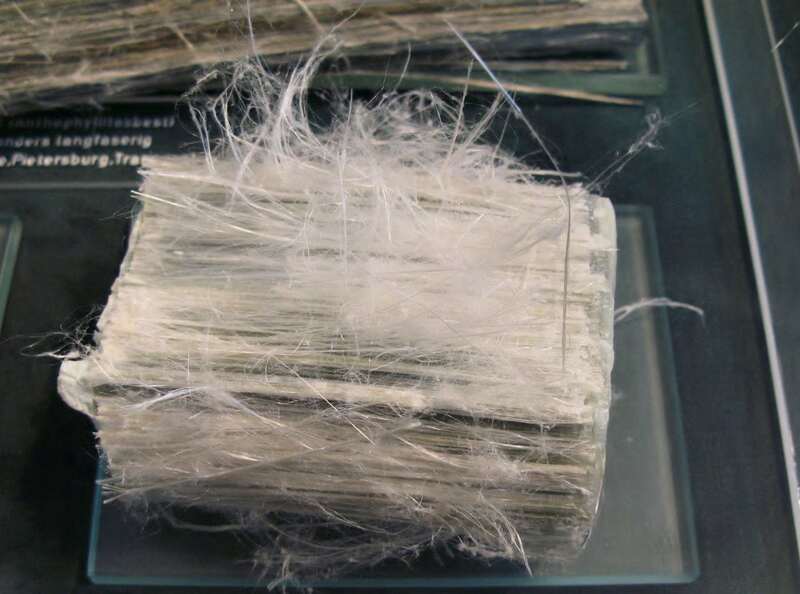 Asbestos was widely used in the last century in the United States as an insulating product. It has been recognized since the 1960’s that asbestos is a cause of malignant mesothelioma, an otherwise exceedingly rare, aggressive, and essentially incurable cancer that involves the surface of the lung and chest wall. A small percentage (~1/10) of mesotheliomas occur in the peritoneum, which lines the abdominal organs. For years, it has been argued and written in textbooks that peritoneal mesotheliomas occur in individuals heavily exposed occupationally to amphibole asbestos (amosite and crocidolite), although many reports have included individuals exposed exclusively to chrysotile asbestos, a form of asbestos with unique morphology and chemical characteristics. Although the risk of developing malignant mesothelioma is small even in heavily exposed workers, e.g., insulators, brief and low-level exposures to asbestos have caused malignant mesotheliomas. Currently, no threshold dose has been established for how much asbestos above the minute amount that is in the normal air that we all breathe is required to place one at increased risk of developing malignant mesothelioma. Furthermore, in general, it takes 20-40 years after exposures for the disease to manifest itself, so that those who were non-occupationally exposed may lack awareness of having been in contact with asbestos. Many cases of malignant mesothelioma in the United States come to the attention of the legal system “Mesothelioma” is one of the most common search terms on Google. A long-standing legal argument has been that peritoneal mesotheliomas are not caused by chrysotile asbestos. Complicating this is the fact that chrysotile asbestos as mined from several sources is routinely contaminated by tremolite, a non-commercial form of amphibole asbestos, which has been demonstrated to cause mesothelioma in both man and laboratory animals. In the study by Kradin et al, 62 cases of diffuse peritoneal mesothelioma were examined. Most had worked with asbestos materials but 23% had been exposed to asbestos solely via take-home exposures, i.e., a family member who worked occupationally with asbestos-containing materials had carried the dust from the workplace home on their clothing and person. 71% of these cases were women who had been responsible for the laundering of work clothes, a recognized risk factor for the development of mesothelioma since the 1960’s. But half of the domicile exposures were to dust from products known to contain only chrysotile asbestos. It took on average 20 years from the time of first exposure for these malignancies to develop. Several had been exposed to asbestos at home as young children and had never otherwise been knowingly exposed to asbestos. These findings have considerable health and socioeconomic consequences. Although the use of asbestos in the U.S. is regulated, at the current permissible levels at the workplace, the Occupational Safety and Health Administration (OSHA) recognizes that an increased risk of developing malignant mesothelioma remains. For this reason, asbestos has been banned by the European Union. The present study belies the claim that low-level exposures to chrysotile are safe and cannot cause peritoneal mesothelioma. Furthermore, there is increasing evidence that a variety of products, including cosmetic talcum powders routinely contained asbestos, and may be responsible for so-called idiopathic cases of both pleural and peritoneal mesotheliomas, especially in women. This study, Diffuse peritoneal mesothelioma: A case series of 62 patients including paraoccupational exposures to chrysotile asbestos was recently published in the American Journal of Industrial Medicine. Richard Lawrence Kradin is an Associate Professor of Medicine, and of Pathology, Harvard Medical School and a practicing pathologist at Massachusets General Hospital. Dr. Kradin's career has integrated formal training in pulmonary medicine, anatomic pathology, basic immunology, and psychiatry. Dr. Kradin's primary area of expertise is the immunopathology of lung disease, to which he has made significant contributions in the areas of antigen processing by dendritic cells, and the immunopathogenesis of acute and chronic interstitial lung injury.